Last week we noted that Gold’s quarterly close would be a key marker for Gold’s immediate breakout potential. Gold was seemingly on course for its highest quarterly close since 2012 until it reversed back below quarterly resistance at $1330/oz. Hence, an imminent break to the upside is unlikely and gold watchers will have to remain patient. It’s not yet Gold’s time. It will be soon enough. One catalyst for the most recent strength in Gold (the correction in equities) appears to have faded as the S&P 500 has held its 200-day moving average. A sustained rebound in equities while bond yields correct would not be particularly bullish for Gold. The obvious reason is capital is flowing into equities and not Gold. A rebound in equities amid a temporary reduction in inflation expectations would equate to stable or rising real yields. Essentially, there are two ways Gold can break to the upside. The first is Gold senses a breakout in long-term bond yields and a sustained rise in inflation expectations. Those developments would soon negatively impact the economy and stock market which would lead to easier Fed policy and ultimately falling real yields. 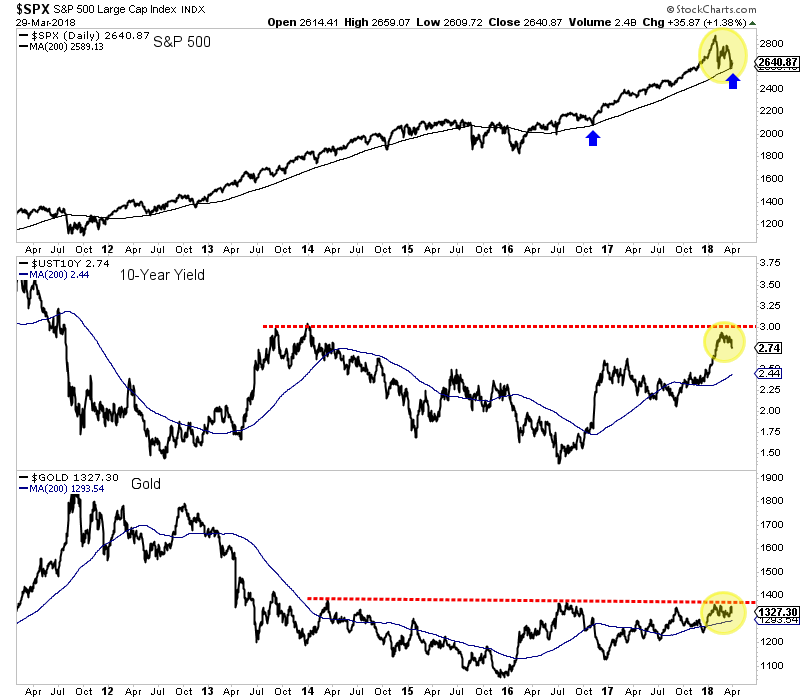 The other scenario is bond yields do not break to the upside, there is a slowdown, the stock market declines and the Fed has to reverse course all together. As we predicted in past editorials, long-term yields are trending lower and that could continue. In the meantime, Gold will not break to the upside unless the stock market experiences more turmoil. 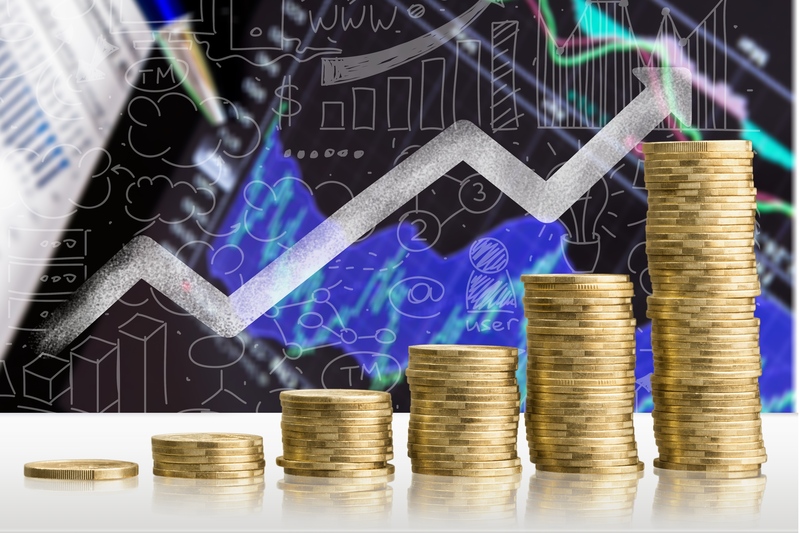 In addition to the current macro-market backdrop, history suggests that it may be too early for Gold and gold stocks to begin another bull move. In November we discussed how the gold stocks were following the pattern that other markets followed after a “mega-bear market” (which we define as multi-year and +80% in price). Take a look at those examples and note the time between the end of the bear market and the next significant low (from which the bull resumed). In most cases the time between those lows is two years and seven to nine months. For the gold stocks it has only been two years and two months since that epic January 2016 low. Assuming stocks rebound and long-term bond yields continue to moderate, then Gold is unlikely to breakout this spring. However, that is perfectly okay as our historical study suggests the miners (while facing little downside) may not begin a real bull move for several months. Gold Investors should not be discouraged as they could panic at the absolute worst time (I’m already seeing it anecdotally). Regardless of whether the bull move begins in a few months, five months or whenever, we continue to remain patient while accumulating the juniors we think have 500% return potential over the next 18-24 months. To follow our guidance and learn our favorite juniors for the next 12-18 months, consider learning more about our service.